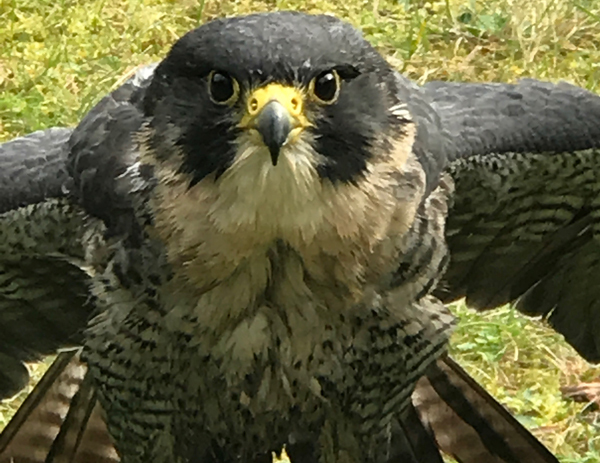 After an afternoon hosting around 250 primary school children who will have been enthralled to hear and see a Peregrine Falcon, we are delighted to invite you to our evening talk on the fascinating “Return of the Red Kite and the Peregrine Falcon". Everyone is welcome. The talk is about 45 minutes long, followed by question and answers. The Red Kite is a fascinating and agile bird of prey with an amazing ability to steal food from other birds. The Peregrine is the fastest flying bird in the world, capable of reaching speeds in excess of 200 mph. There was a time when they were both extremely rare birds in Britain. Many were killed by hunters or poisoned but in recent years they have become more common - and are doing well in Hampshire. Keith Betton has studied these fantastic birds in detail. He tells us about the return of both species - one with our help, and one on its own. This event is kindly hosted by Winchester College and we look forward to seeing you. More information can be found on our website: www.cameronbespolka.com.